Welcome to my bake shop! 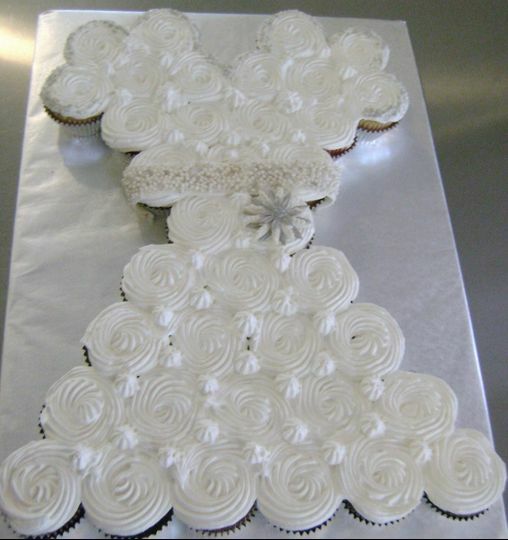 We are a custom Bake Shop located in Bryan, Texas specializing in Italian Ring Cookies and Gourmet Cakes. 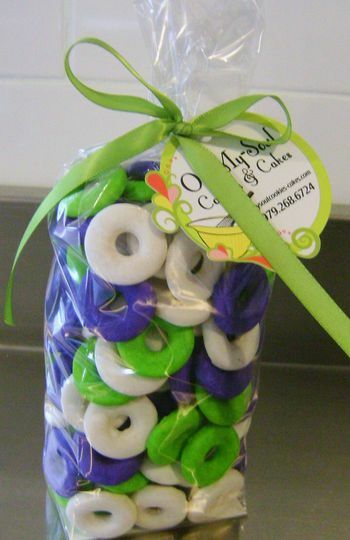 Our Italian Ring Cookies can be custom glazed to compliment any color scheme. 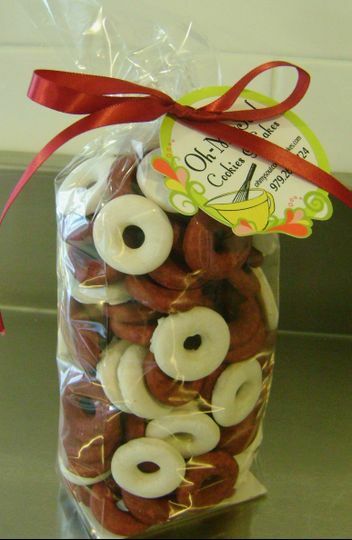 Italian Ring Cookies are similar to a shortbread cookie covered with a vanilla glaze. They are that perfect sweet to add to any dessert table. 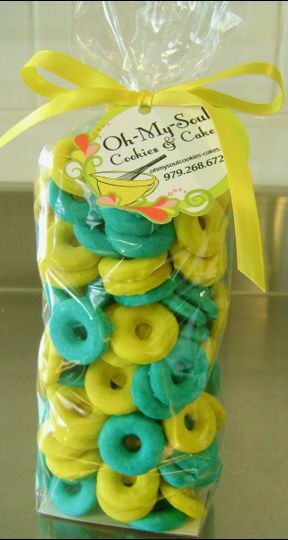 Our Italian Ring Cookies come in 3 different shapes at this time. You may choose from a circle, heart or star as well as choosing up to 3 color combiinations. Take a look at our photos to see these unique cookies and the many ways you can serve them. My name is Rhonda, known around my house as "Mom", and I have always had a passion for baking. Baking from scratch was introduced to me by my Grandma when I was young. She always had something sweet to eat under a cake cover in the middle of her kitchen table. It has always made me happy to bake for others and have them enjoy my creations as I did my Grandma's. 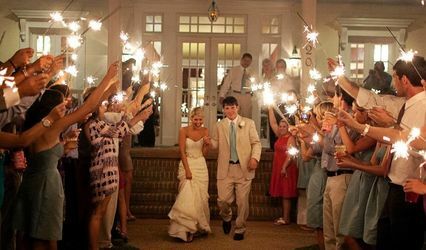 When I became a Mother I knew I wanted to make my children's birthdays, holidays and other events special and memorable. I took a cake decorating class and worked on my skills in baking and creating recipes so I could give them those memories. For 20 years I have designed Gourmet Cakes and baked from scratch and endless amount of cookies for family and friends. My desire now is to share this passion for baking in hopes that you, your family and friends will enjoy these creations as well. My husband was also introduced by his Grandma to "Ring Cookies", an Italian baking tradition in his family. 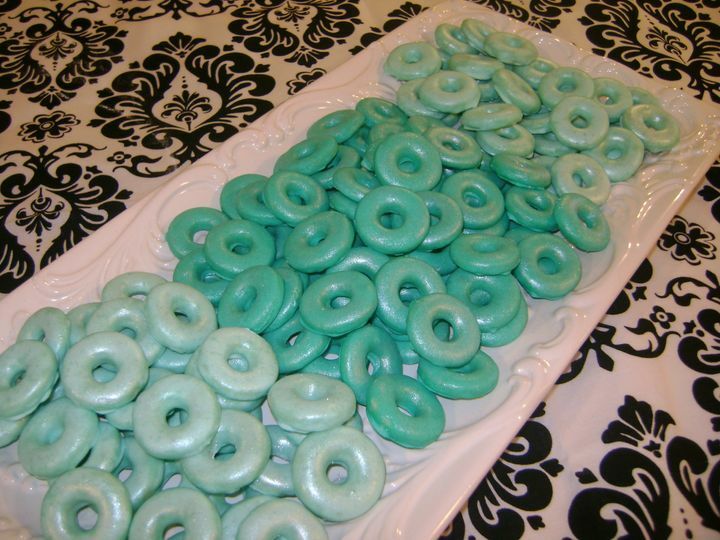 We wanted our boys to know that tradition as well, so for years during the holidays, my Sister-in-law and I would make Italian Ring Cookies for family and friends. These time consuming cookies would have us baking all day. One year we were baking until midnight when the mixer burned out in the middle of mixing the dough and once by candlelight in a lightning storm. These cookies have created a lot of memories including the one with our kids sneaking in the kitchen to steal cookies off the cooling rack before we could get them glazed. With the combination of what our Grandma's brought to our lives we have opened a bake shop to offer Italian Ring Cookies and Gourmet Cakes to everyone. We hope our cookies and cakes will be a part of special memories in your life. 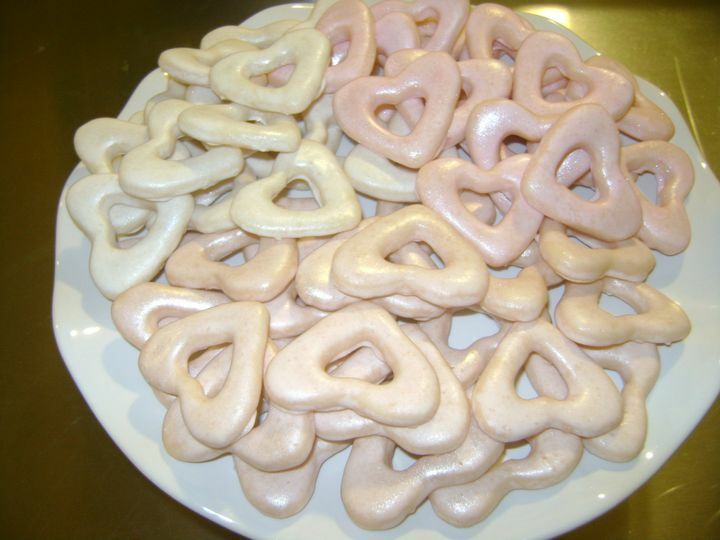 Italian Ring Cookies glazed Pale, Pink, White and Beige. Heart Shaped and Pearl Dusted. Pink and Zebra Striped Cake with touches of Silver and Pearl! Pink and Zebra Striped Cake! Sugar Glitter Band with Silver and Pearl Broach! Cake is topped with Silver lined Ruffles! Pretty in Pink and Zebra Striped! Bright Colors for an outdoor event! Our Cakes not only look pretty, they tasted Delicious! Cakes are made from scratch. Box Cake with Tissue and Pearls! Stenciled Black on White Design! Two Tiered Black & White Cake with Pink and Lime accents! 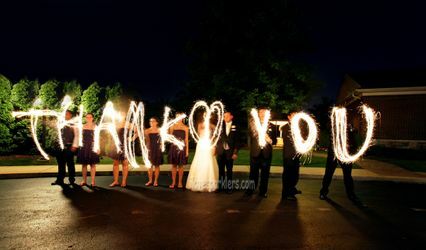 Black, White & Turquoise Wedding! 1 Tier Cake with Stenciled Damask Pattern! Red Velvet Armadillo Cake! This cake was served at a Dinner Theater for the Play "Steel Magnolia&apos;s"
Armadillo Cake! Red Velvet Cake with Cream Cheese Swiss Buttercream. Baby Shower Cake - Birthday Cake! 10" Jungle Themed Baby Shower Cake! Pink and Zebra Print Birthday Cake! Two Tiered Birthday Cake in Pink and Zebra Print. Red Velvet Cake with Cream Cheese Swiss Buttercream Frosting. 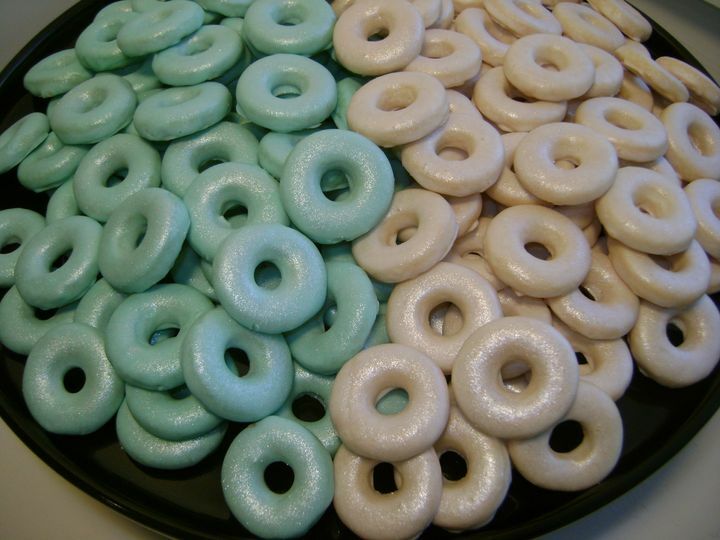 The ring cookies were just the prefect color and tasted delicious. The coconut cupcakes were the best I have ever eaten. It was more like eating a piece of pie. The presentation of the cupcakes were worthy of giving as a gift. Wonderful ! Will definitely recommend to others! 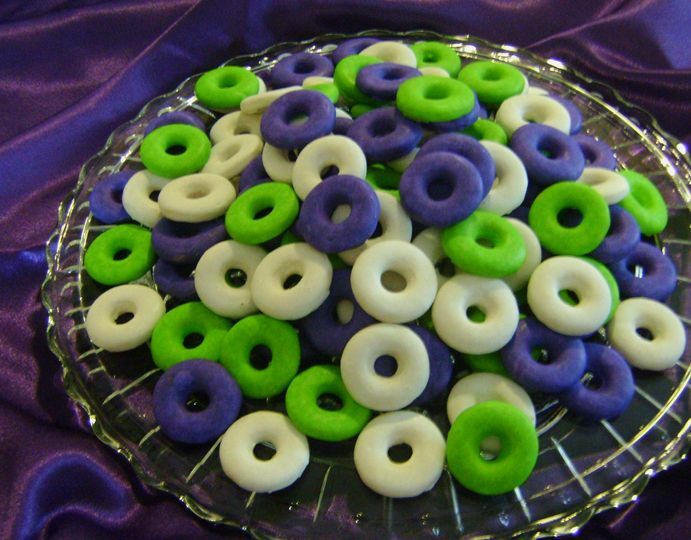 The Italian Ring cookies were a BIG hit at our Pageant Murder Mystery party! They were delicious and very elegant. It was an all ladies party and we all dressed up in gowns and crowns, the ring cookies were great because they were mess free! The colors were pearly pinks & whites that went great with the theme of the birthday party! 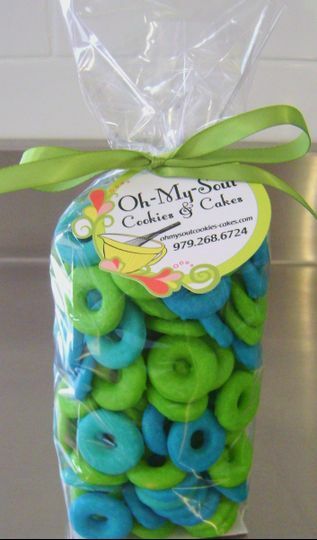 I will surely order from Oh My Soul Cookies & Cakes again!